Log in to your Poll Everywhere account and select the "Participants" tab from the main dashboard. Select the "Add participant" button in the upper left hand corner. 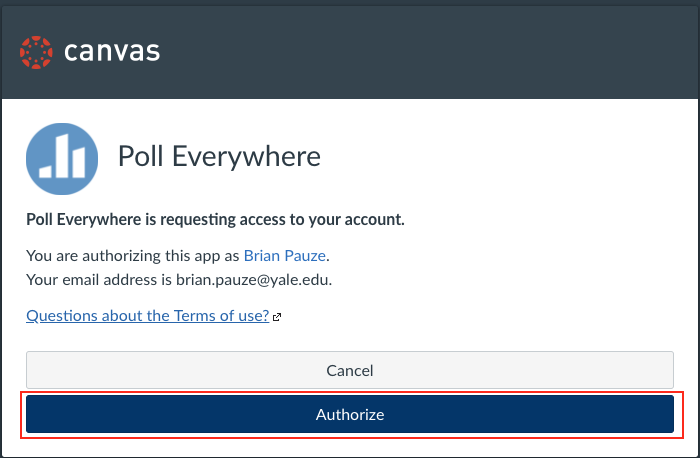 From the pop up menu, select "Connect to LMS"
When prompted, select "Authorize" to connect your Canvas and PollEverywhere accounts. 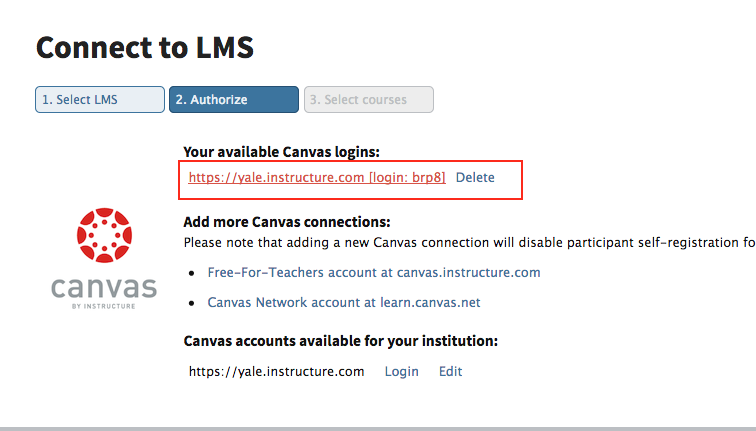 You will now see a Canvas login available for you. 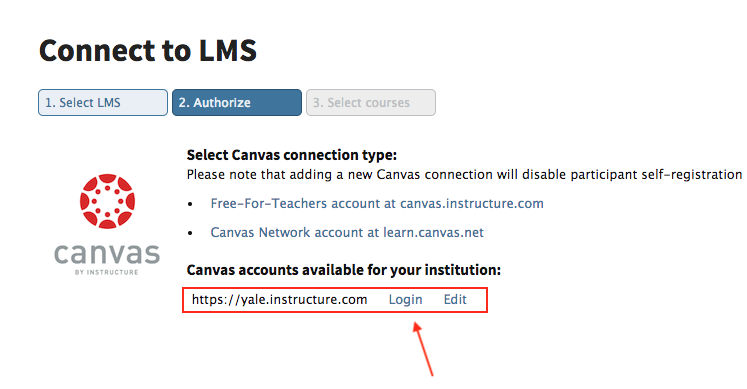 Select the link that now appears under "Your available Canvas logins." You will see a list of your courses available in Canvas, with the most current courses listed first. Select the course you want to import and select "Continue." Please note that this will notify students via email who do not have an existing PollEverywhere account that one will be created for them. They will receive an email prompting them to complete their account creation. 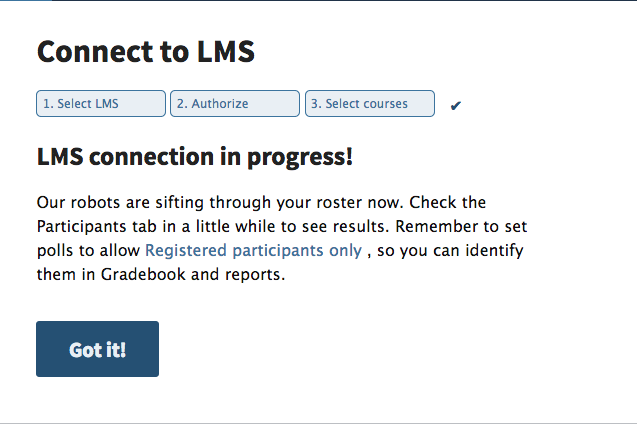 You will be notified that the LMS connection is in progress and your roster will appear in your participant list shortly. 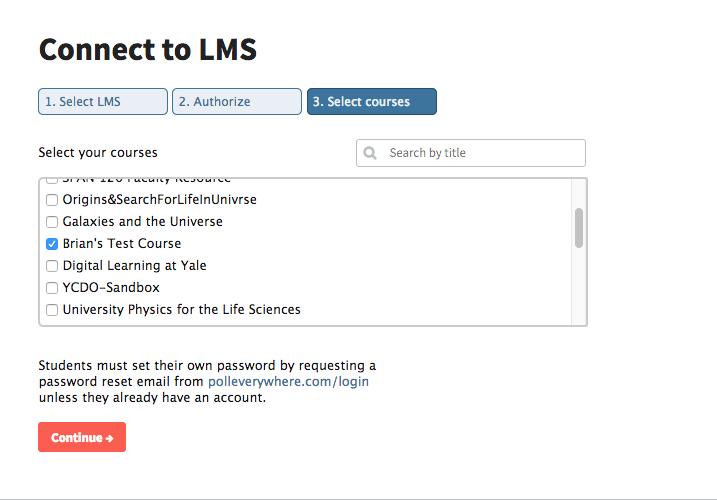 In your participant tab of your PollEverywhere dashboard, you will now see the list of your students and which course group/s they belong to. Prev: How do I participate in the PollEverywhere pilot? Next: How do I import a class roster from Canvas in to TurningPoint?